President of Ukraine Petro Poroshenko has signed an order on the celebration of the Day of Naval Infantry on May 23 annually in Ukraine as 112 Ukraine broadcasted. 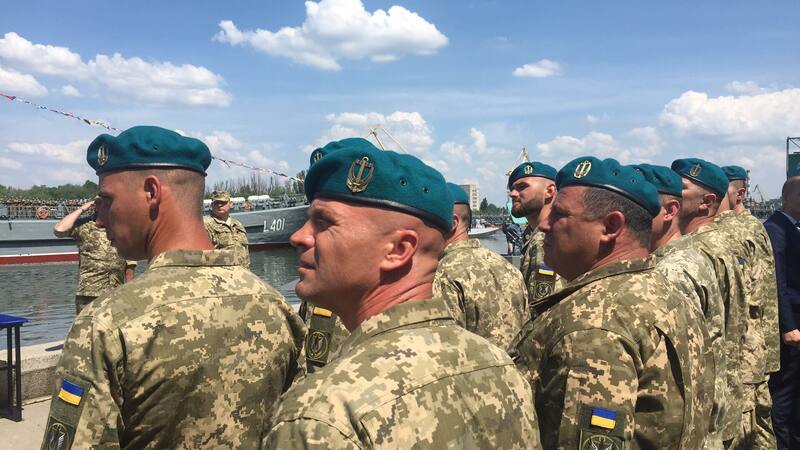 'Noting the courage and patriotism of the mariners showed at the fight for the freedom, independence, territorial integrity of Ukraine and with an aim to make the new military traditions, I order to establish the Naval Infantry Day in Ukraine that will be celebrated annually on May 23. I order to recognize presidential order #352 on the Naval Infantry Day as invalid. This order comes into force since the day of its publishing', the text of the order said. Earlier this day was celebrated on November 16. Also, Petro Poroshenko mentioned that 34 mariners gave their lives for Ukraine and 290 were injured. Today, the Ukrainian infantry celebrated the 100th anniversary since its establishment. On May 23, 1918, Hetman Pavlo Skoropadsky had issued the order 'On the formation of the Naval Infantry Brigade consisting of three regiments for serving'. This document is considered to be the first one on the creation of the Navan Infantry in Ukraine in the 20th century.